Why should you hire a professional window cleaning company, especially when you could just do it yourself? #1. It makes your windows sparkle! It doesn’t matter if you own a home or a business, you always want to put your best foot forward, and one detail many people miss is the windows. Dirty, grimy windows have a way of making your whole home or commercial building look dirty and grimy, and no one wants that. When you turn to the professionals for your window cleaning needs, you’ll also get professional results, and that includes a streak-free sparkle! #2. It helps to protect your window. Many people don’t realize it, but dirt and other debris that finds itself on our windows is actually very abrasive, and it has the potential to actually etch into your windows. And, unfortunately, the wrong techniques could grind that abrasive material into your windows. When your windows are regularly cleaned by a professional, all of that abrasive material will be safely cleaned away, protecting your windows from scratches and other damage. #3. It keeps you safe. Here in New York City, it’s no secret that many people live and work in some of the tallest and most magnificent buildings in the United States, and the world for that matter. That being said, window cleaning can be dangerous work, and that’s especially true if you don’t have the proper training or experience. Don’t take the risk; instead, turn to our fully insured team. We’ll provide you with the results you want without putting your life at risk. #4. It frees up your time. If you’re a homeowner, do you really want to spend your free time scrubbing your windows? Life is busy enough; let us handle your windows so that you can use your hard-earned time doing what you want. And, if you’re a business owner, do you really want to waste your resources on window cleaning when they could be better spent adding to your company’s bottom line? Time is money, and when you let the professionals provide you with the window cleaning service you need, you will never have to waste your time cleaning windows ever again. In the end, for most business — and most people — it all comes down to cost. And, believe it or not, in most cases, it’s actually more cost effective to hire a window cleaning company than it is to do it yourself. In order to clean your windows the right way, it takes a lot of time, know-how and equipment. And, even then, continuous training and experience are required to get professional quality results. All of this adds up quickly. Plus, since professional window cleaning helps to protect your windows, it could also extend their life, which could save you even more. 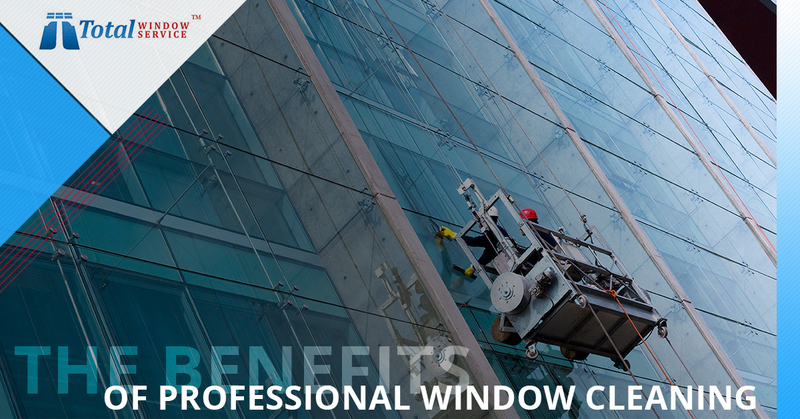 Experience the benefits of professional window cleaning with Total Window Service. As you can see, there are so many great reasons to hire a professional company rather than to try to clean your windows on your own. And, if you’re ready to start experiencing the benefits, contact us at Total Window Service. 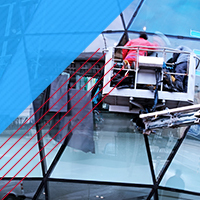 We offer high-quality results, a wide range of services, competitive rates and free quotes! What are you waiting for? Contact us today to get yours!